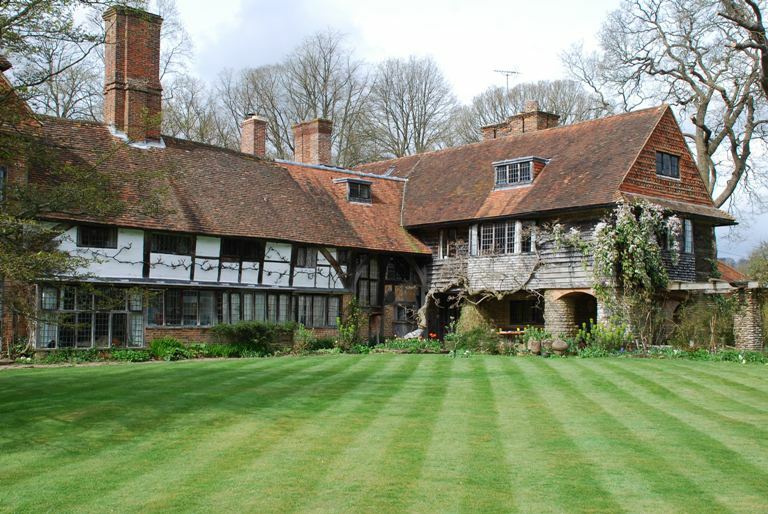 Yesterday I went to visit Vann Garden near Godalming in Surrey which was open under the National Garden Scheme (NGS). 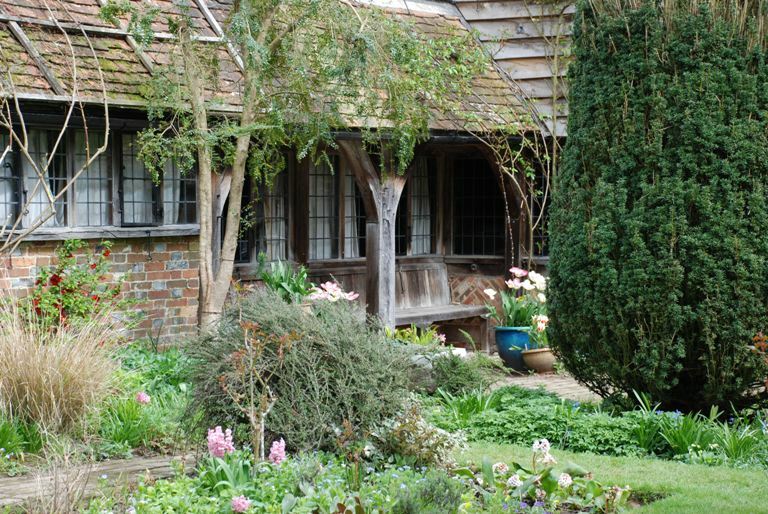 The house is just gorgeous, steeped in history and parts of it date back to the 16th Century. 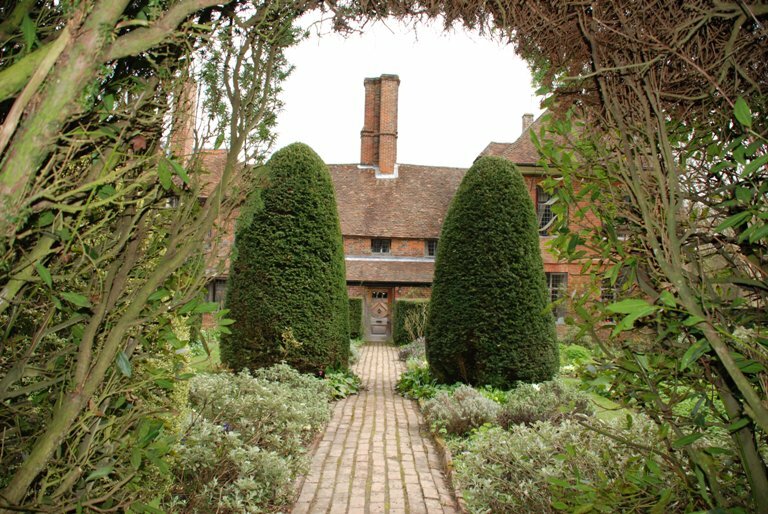 The Yew Walk at the north end of the garden dates back to 1909 and features a small stream between 2 high Yew hedges that trickles down to the pond. 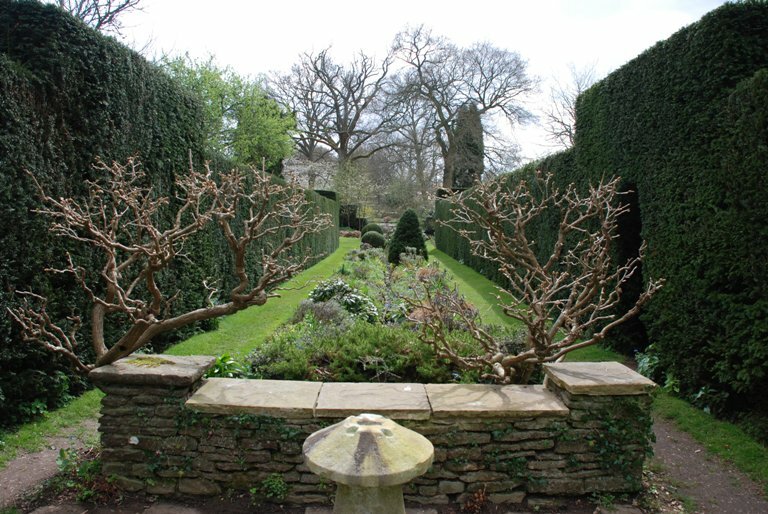 The bare tree-like branches are cleverly pruned wisteria that have been trained into a tree-like shape – the flower buds were just beginning to emerge so it won’t be long until they are looking amazing. 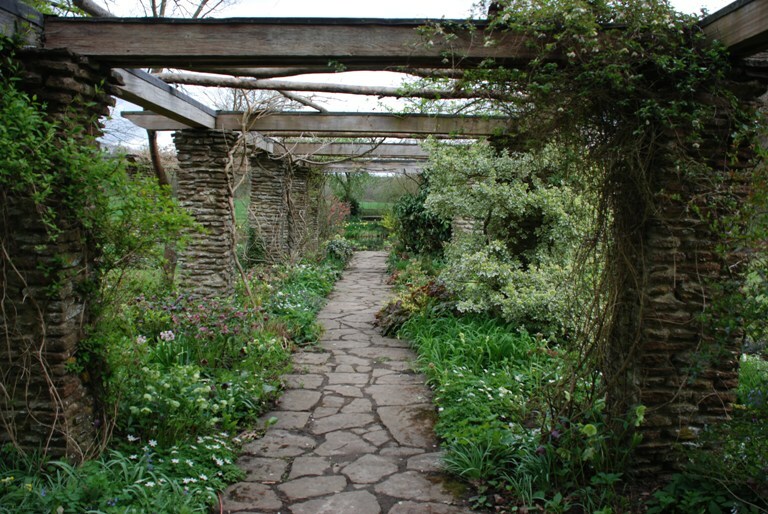 The main feature of the garden is the Water Garden which was designed by Gertrude Jekyll in 1911. It links a succession of small ponds fed by a cascade from the quarter-acre pond, crossed by stone paths and bridges banked with lush vegetation. 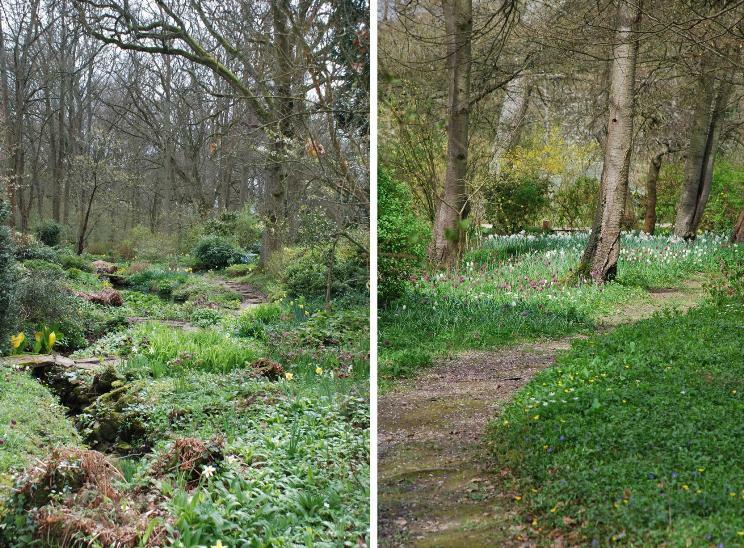 The stream flows down to to a wild White Garden before disappearing into the coppiced woodland beyond. The area of the garden at the front of the house is more formal but I just loved this covered seat against the south facing wall – doesn’t it make you want to go and sit there! Vann Garden is open every Wednesday from 6th April to 29th June and also from 2nd-8th May and 12th June. It is simply breathtaking. Definitely visiting Van Garden this Spring/Summer. Definitely worth a visit Krishanthi – if you wait until early May, the wisteria should be in flower!